Sucrose is what we generally use as table sugar, and it is the form of sugar that a plant loads into its veins and transports throughout its body to be stored or used by growing tissues. 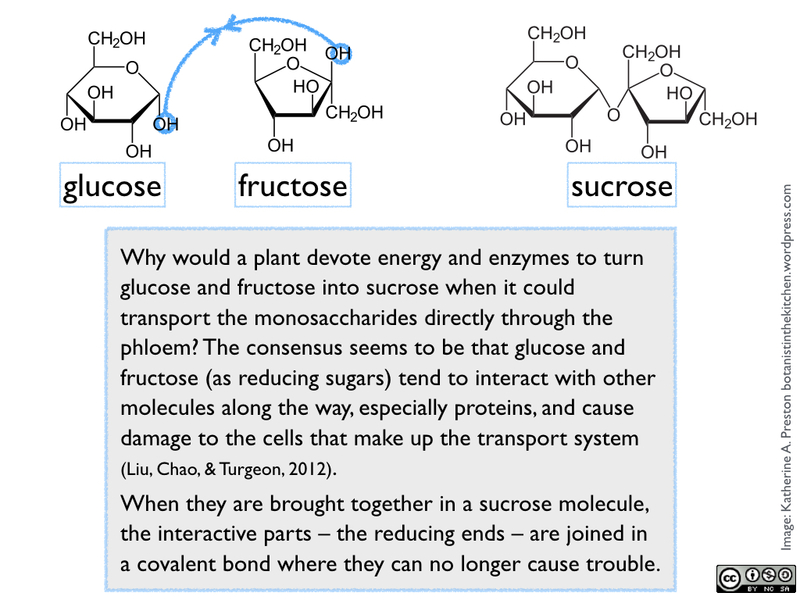 When the sucrose reaches other organs, it may be broken back down into glucose and fructose, converted to other sugars, or combined into larger storage or structural molecules, depending on its use in that particular plant part and species. Since we extract sugar from various parts and species, the kind of sugar we harvest from a plant, and how much processing is required, obviously reflects the plant’s own use of the sugar. The purest source of sugar in a plant is probably its veins, or more specifically, phloem cells making up the sieve tubes. Unlike other cells, they have little content besides sugar water, which is loaded directly from photosynthesizing leaves. Conveniently, the sugar water moves through the plant body in the phloem along a pressure gradient, so if you breach a bunch of sieve tubes, the sap will flow out of the plant and into a container. Just ask an aphid (Figure 2). Figure 2. An aphid’s proboscis pierces a plant’s phloem to extract sugar water. 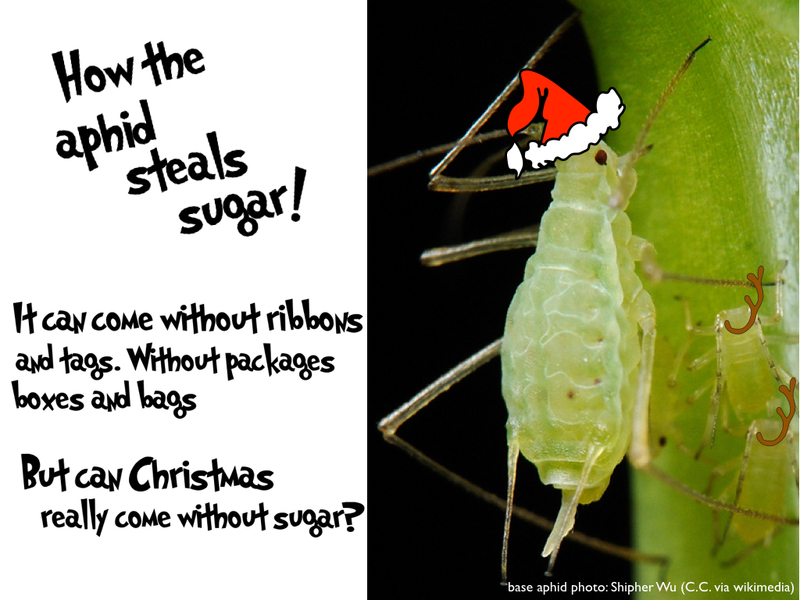 You would expect human sugar thieves to emulate our aphid friends and steal our sugar straight from plant veins. As it turns out, palm sugar is the only real commercial use of sweet sap taken directly from the phloem stream. Tropical palms (genera Cocos, Arenga, and Borassus; family Arecaceae; order Arecales) send a large amount of sugar-rich sap through their veins to fuel rapidly growing flowering stalks. 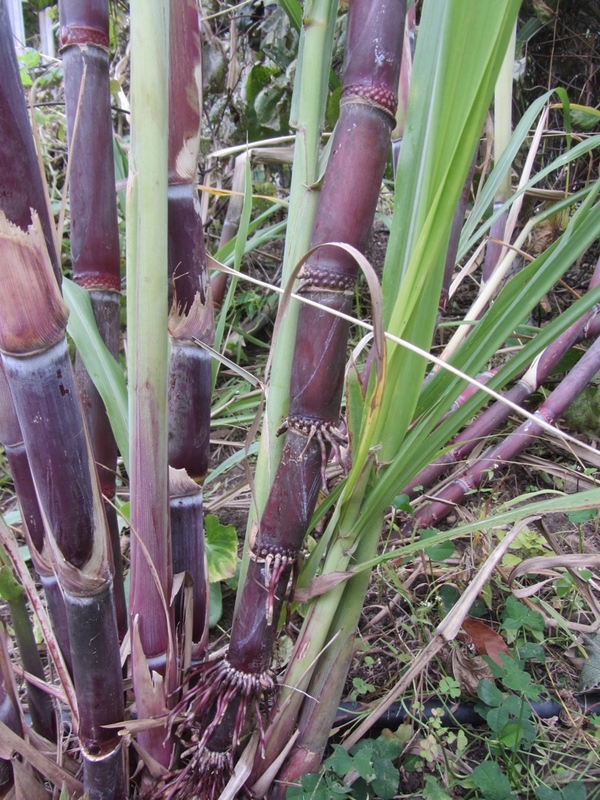 While flowers are still immature and drawing lots of sap, harvesters cut the flowering stalks (either rachises or peduncles) and collect the dripping sugar water into containers. A mature tree can produce up to 50 liters (over 13 gallons) of sap a day. Although the sap is fairly concentrated – about 10% sucrose in solution – it must still be boiled down into syrup or crystallized into sugar. In fact, if sugar is the goal, it must be boiled right away to stop its fermentation into alcohol. Maple sap collection: tubes run from a vacuum device to the tapped sugar maples and carry sap to the collection location. Maple syrup and maple sugar are one additional step removed from the photosynthetic source. Although we harvest the sap directly from maple (Acer saccharum; Sapindaceae; Sapindales) plant veins, we take it from the xylem, not the phloem. As Jeanne detailed more fully in another post, the sucrose in maple syrup is synthesized during the summer and stored for the winter in the plant stem in cells adjacent to the xylem. When conditions are right, pressure within the stem pushes the sap into the xylem, from which it can be tapped. 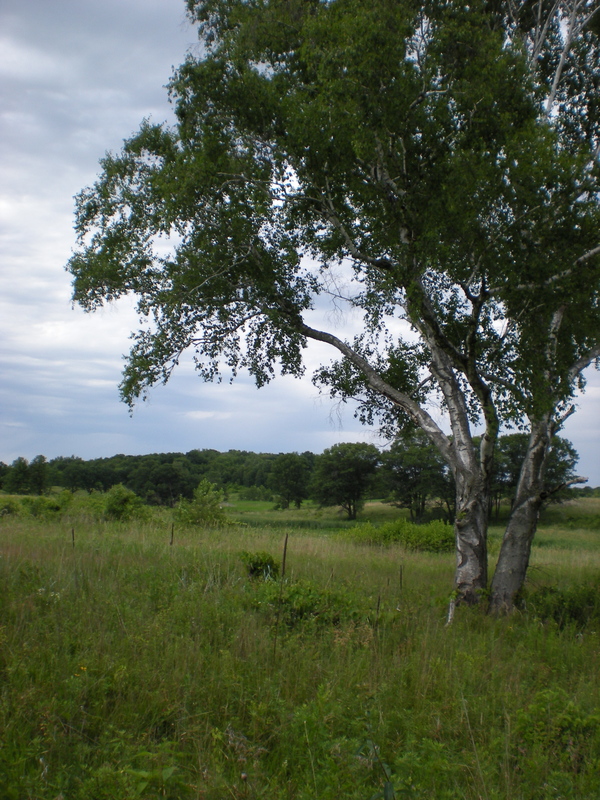 Birch trees (Betula spp. ; Betulaceae; Fagales) are also tapped at a commercial scale for sugary xylem sap in the spring. 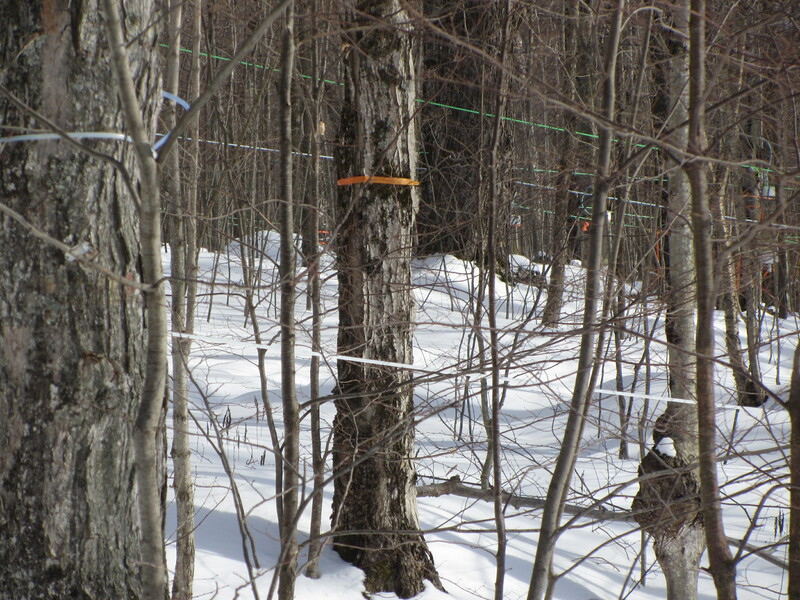 Birch sap flow, though, results from root pressure, not stem pressure as in maple, and its primary sugars are fructose and glucose, unlike sucrose in maple. A few other temperate tree species have spring sap flows similar to maple or birch (hickories and walnuts in the family Juglandaceae, for example), but the list of candidate species for syrup making is quite small, either because of low sap volume or sugar content or undesirable flavor constituents in the sap. Maple and birch sap also contain additional salts and various organic molecules that contribute to its flavor. As we explain below, most stored carbohydrates are not easy to extract; however, maples (and some other species) naturally isolate and remobilize their stored carbohydrates for us. Still, maple sap is dilute (about 2% sugar), and concentrating it into useful syrup is hard work (birch sap is more than twofold more dilute than maple sap). Sap is a plant’s lifeblood, and it must be stolen, but plants offer their sugar freely in the form of floral nectar. Nectars make wonderful food because their sugars are augmented with minerals, amino acids, and other compounds that attract and reward pollinators. By volume, nectar offers a much greater sugar reward than sap does, with some bee-pollinated species producing a 30% sugar solution for their visitors. Still, it would be impossible for humans to harvest enough tiny droplets from individual flowers to be worthwhile, so we outsource the hard work to bees and then steal it from them as honey. Honey bees collect nectar, digest any sucrose into its component monosaccharides, make other enzymatic transformations, and concentrate the result by evaporating it with their beating wings. In the end, honey is over 80% sugar, but its high proportion of easily soluble fructose helps limit crystallization (McGee, 2004). The fructose also makes honey-sweetened foods prone to burning because of its low melting and caramelization point. 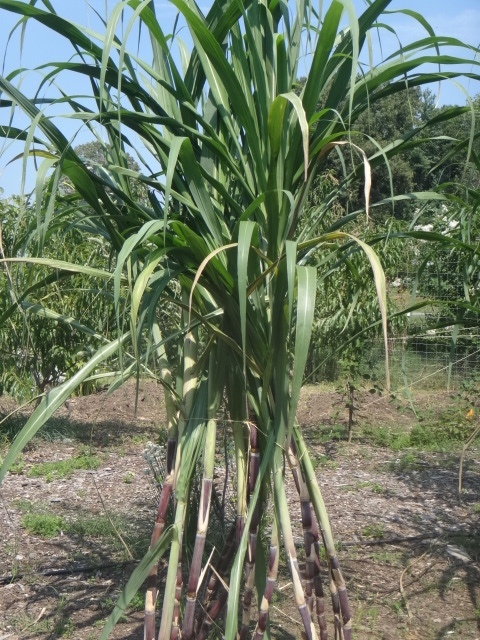 The overwhelming majority of our table sugar derives from carbohydrates stored in special parenchyma cells lying near the vascular tissue that runs through stems (sugarcane; Saccharum spp. ; Poaceae; Poales) or into roots (sugar beet; Beta vulgaris; Polygonaceae; Caryophyllales). Both sugarcane and sugar beet are usefully unusual because they store carbohydrates as sucrose, whereas most plants use starch for long-term storage (and transitory storage in their leaves). Starch is well-suited to its role: it is a long chain of glucose molecules (sometimes branched) that does not readily react with other molecules and which can be packed tightly with other starch molecules into granules within the cell. Enzymes erode a granule gradually, releasing glucose when short-term reserves are low, and rebuilding granules when supplies are adequate. See figure 3. We, also, can convert starch to sugar on an industrial scale (see below), but sugar beet and sugarcane save us that extra step. Both species push their sucrose into relatively large storage cells that can be broken open to release extraordinarily high concentrations of sugar. Sucrose molecules make up about 80% of the dry weight of sugarcane parenchyma (Wardlaw, 1990) and 50-75% of the dry weight of whole sugar beet root (Elliott & Weston, 1993; Turesson et al., 2014). Clearly, these plants are a rich source of sucrose, as long as the pure sugar can be separated from masses of crushed sugarcane stems and beet roots – a matrix of cell fragments, tough conducting tissues and fibers, and numerous organic molecules. Sugarcane juice is about 15% sucrose and contains many more chemical components other than sucrose and water. 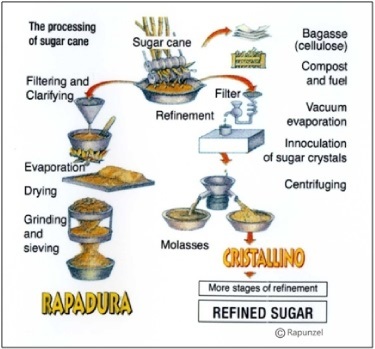 If the sugarcane juice is processed like maple syrup, a simple process of cooking it and evaporating it, the result is dark brown, molasses-flavored crystals called rapadura or panela (see Figure 4). To get pure white sucrose, the other components of sugarcane juice (minerals, proteins, phytochemicals) are removed iteratively. The solution can be dehydrated at any stage in this process, resulting in a suite of sugarcane crystal products marketed under various names (evaporated cane juice, raw sugar, cristallino, golden treacle, brown sugars, muscovado). The end stage of most sugarcane juice processing, though, results in two products: pure white sucrose crystals and liquid blackstrap molasses (or dark treacle), a dark, thick syrup that has plenty of sugars to make it sweet plus all the other minerals and phytochemicals. Figure 4. Alternative processing of sugarcane juice. Figure from the Rapunzel company, which manufactures rapadura. The name “molasses” is also applied to thick syrups produced by cooking down juices of plants other than sugarcane, including the stalks of fellow grass sorghum (Sorghum bicolor), apples (Malus domestica; Rosaceae; Rosales), and pomegranates (Punica granatum; Lythraceae; Myrtales). Other concentrated fruit juices are frequently used as sweeteners (for example: grape, Vitis vinifera; and pineapple, Ananas comosus), but usually not with the name “molasses” attached to it, perhaps because the modern industrial processes of concentrating those juices doesn’t involve cooking, which caramelizes some of the sugars. Those fruit juices are so very sweet, of course, because some plant species produce sweet fruit to entice seed-dispersing animals. Dates (date palm, Phoenix dactylifera; Arecaceae; Arecales) have a particularly high sugar content (and are delicious), and dried and ground date fruits are used as a sweetener (date sugar). 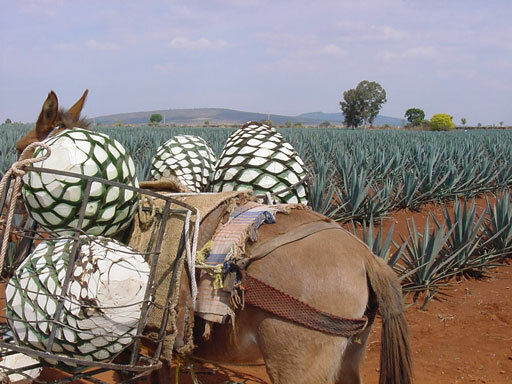 Agave is another plant with an unusual carbohydrate storage strategy. Instead of making long chains of glucose (starch), it transforms its sugars into short chains of fructose (fructans), specifically inulin. 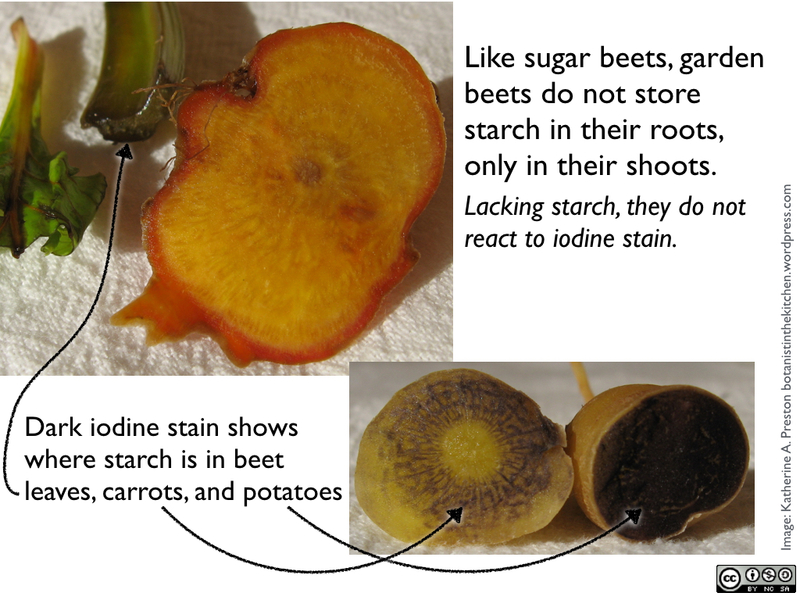 Inulin and starch differ in ways that matter for both plants and humans. In plant cells, inulin may provide some protection from drought stress and freezing (Van den Ende, 2013), both of which may be faced by Mexican agave plants growing at high-altitude on volcanic soils. Inulin is much less obviously useful to humans. Whereas we digest starch easily, starting in our mouths and continuing until the glucose components are absorbed through our small intestines, we lack the enzymes to digest inulin. Inulin moves through our bodies intact until it reaches our large intestines, where “helpful” bacteria that can make the relevant enzymes break it down and release a lot of nasty gas into our colons. (See McGee’s (1990) engaging advice for reducing inulin in sunchokes). Blue agave (Agave tequilana) hearts ready to be turned into agave syrup and tequila, showing cross section of the base of the very thick leaves. Photo source unknown. 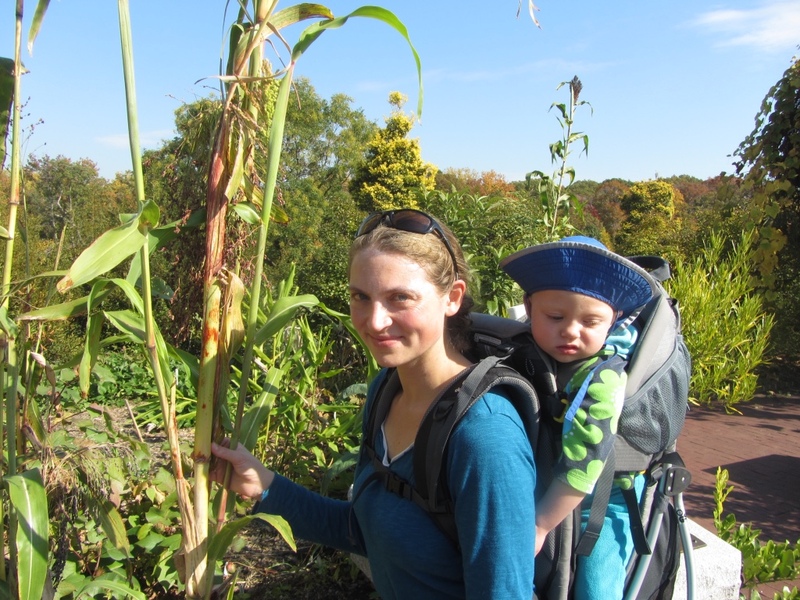 Agaves accumulate inulin in their squat, cone-shaped stems (piñas) for about a decade, until their piñas have achieved the weight of a smallish adult human. At harvest, leaves are removed and the stems are heated gently to soften them and release their juice. Fortunately, agave nectar and agave sugar are primarily fructose, derived from the inulin. Enzymes present in the harvested agave sap naturally break the inulin down into its component sugar (Willems & Low, 2012). This sugary solution may be transformed into agave syrup or “nectar” or fermented into tequila. Grains (technically fruits, usually thought of as seeds) store energy reserves for the seedling mostly as starch. Sprouting those grains, or “malting” them, unleashes an enzymatic cascade within the grain that converts the starch into sugar. In the case of grasses barley (Hordeum vulgare) and rice (Oryza sativa), most of this sugar is maltose. Toasting and boiling these malted grains results in a caramel-flavored sweet liquid that can be used in brewing or made into a sweet syrup (malt syrup, rice syrup). Industrially-mediated enzymatic hydrolysis performs the starch-to-sugar transformation for starches bound in dry corn (Zea mays; Poaceae; Poales) grains and cassava (tapioca, Manihot esculenta) roots. Only a few plants have been identified that produce sweet compounds that are not sugar and are palatable as a sweetener for food and beverages, and none of them are perfect. To be perceived as sweet to our palates, a chemical compound must bind to and activate sweet flavor receptors in our taste buds on our tongues. Sugar does this, and only this, exceptionally well. 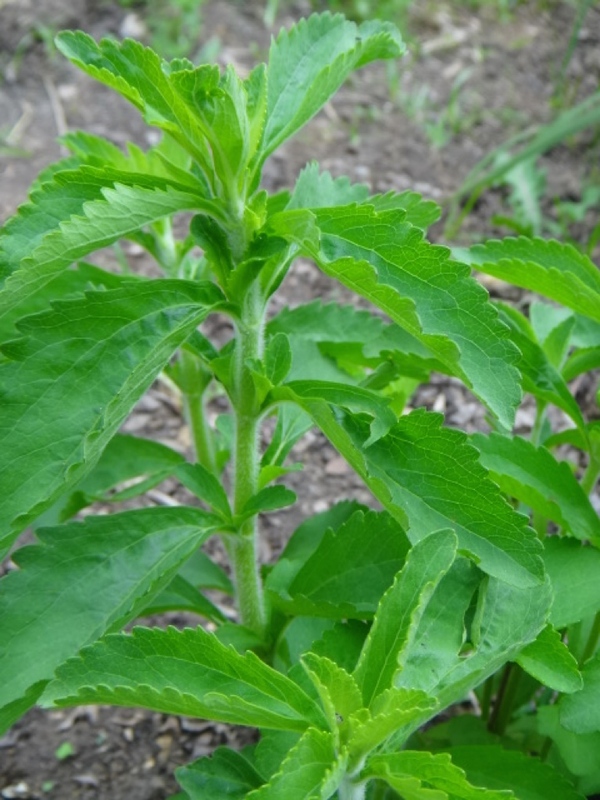 Some sweet non-sugar compounds, like those in stevia (Stevia rebaudiana; Asteraceae; Asterales), unfortunately also bind other taste receptors, like bitter receptors in the case of stevia, or have an aromatic flavor that is difficult to remove. Miraculin, the very sweet compound in miracle fruit (Synsepalum dulcificum; Sapotaceae; Ericales), only tastes sweet under very acidic conditions. Monk fruit (Siraitia grosvenorii; Cucurbitaceae; Cucurbitales) extract has some sugar (fructose and glucose) in it, but its exceptional sweetness is courtesy of a group of glycoside saponins. Monk fruit extract can be quite palatable, but as yet it has limited availability. Licorice (Glycyrrhiza glabra; Fabaceae; Fabales) root extract is also exceptionally sweet because of a saponin. In small doses, like in a few pieces of real, traditional licorice candy, this saponin and other chemical components of licorice root extract are not harmful. In large doses, though, they can cause medical problems. Licorice root extract also tastes like, well, licorice, having a mild anise or fennel (both in family Apiaceae) flavor, owing to its moderate content of anethole, the signature anise aromatic compound, which itself is quite sweet. These non-sugar sweet compounds likely serve the plant as storage compounds for chemicals with physiological or anti-pest-defense roles. That is, the plant likely does not use them for energy or as an attractant for a seed disperser, and their perception by us as sweet is likely coincidental. Glycoside saponins, for example, structurally, are a sugar molecule bonded to another compound. When the plant needs the bonded compound, it can enzymatically cleave off the sugar. In our mouths, the sugar component binds to our taste receptors, but we don’t break it off, so for us it is not a source of calories. 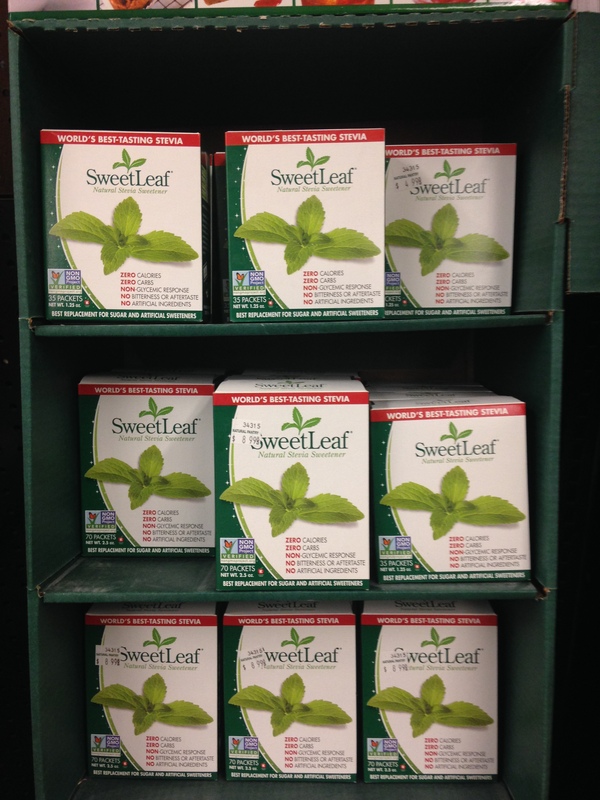 Plants also physiologically employ sugar alcohols. Many of these taste sweet to us but may or may not be metabolized (for example: xylitol and sorbitol). Some sugar alcohols are industrially produced from ground hardwood pulp and are commercially available as sweeteners. 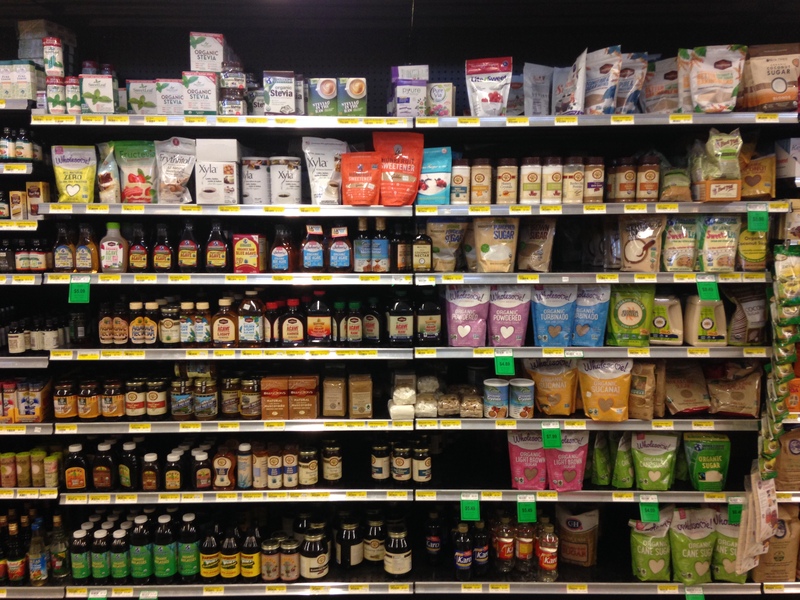 Standing in front of the sweetener section in the modern grocery store can be an overwhelming experience. The various sugar products extracted from plants sit alongside other non-sugar sweet plant extracts and various industrially-produced artificial sweeteners and sugar alcohols. The commercial diversity reflects the biological diversity of their plant sources. That said, however, there are over 300,000 plant species. All of them produce and employ sugars, but we only extract sugars from a very small subset of them. 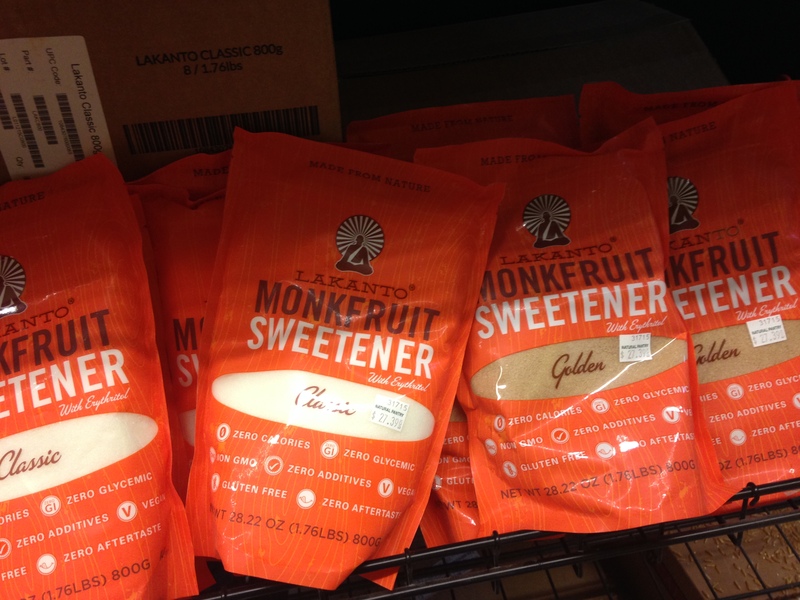 We use non-sugar sweet compounds from an even smaller subset. We even only bother to concentrate the fruit juice of a few species, a small subset of the species that produce edible sweet fruit. Modern industrial processes that can convert starches into sugars (for example, turning non-palatable corn varieties into high fructose corn syrup) may provide an avenue to turn more plant species into sugar sources, but as yet, again, we reserve this process for only a few plant species. Those starchy plants, incidentally, are perfectly good foodstuffs in their starchy original forms (corn, barley, rice, cassava). Plant saps, extracts, and juices always contain many more chemical compounds other than sugars. Those other chemicals may make the plant extract inedible or unpalatable. The sugar in those plant extracts may also be quite dilute. Maple sap and sugarcane juice are exceptionally rich in sugars. And, in the case of sugarcane, the really sugary varieties are a result of domestication and have much sweeter juice than their wild relatives. So, is it the case that the vast majority of plant species on Earth produce juice or sap that is either too poisonous, undesirable, or dilute in sugars to make it worthy as a sugar source, much less commercially viable? The same question goes, too, for plant sources of non-sugar sweet compounds. Like sugarcane, many of the sugar source species are from the tropics, or at least very warm places. Plant species diversity is highest in the tropics, anyway. Sugar beets, maple and birch trees, though, prefer cooler climates. And every continent (except Antarctica) has a native sugar source, so it is difficult to pinpoint definite geographical correlates of sugar source species. 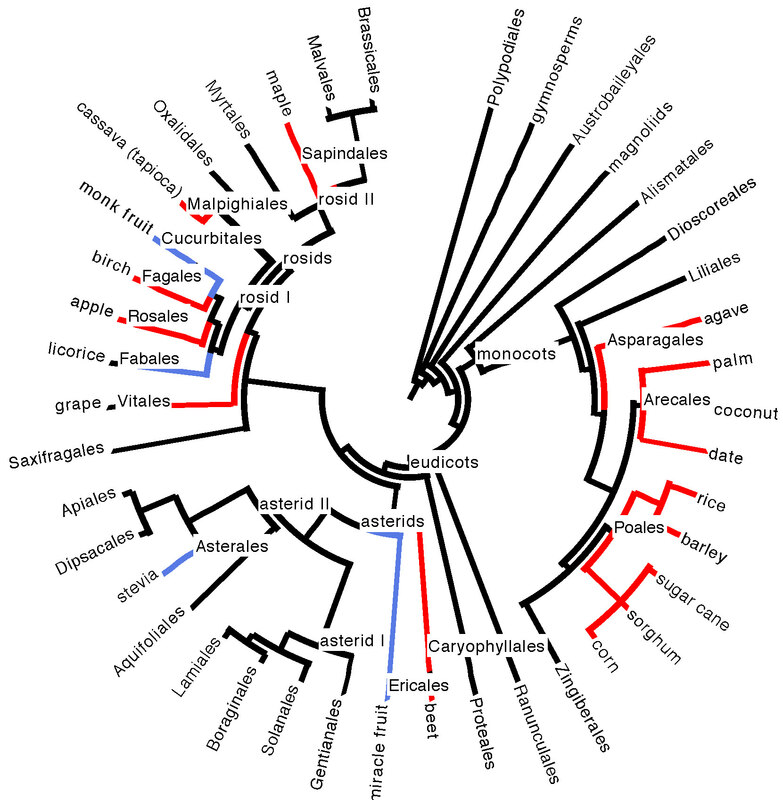 Evolutionarily, the plant phylogeny doesn’t seem to give us a lot of clues, as we source sugar from several different disparate branches of the plant family tree (see phylogeny in Figure 5 below). Sugar sources do seem to be somewhat concentrated in the monocots, which boast the grasses (sugarcane, sorghum, barley, rice, corn), the palms (dates, coconut, other palm sources of sugary sap), and agave. There are, however, over ten thousand grass species. Carefully pluck any (herbaceous, non-woody) one of them out of the ground on a warm summer day and taste the pale meristem tissue that was growing at ground level, just above the roots. It is invariably sweet and delicious. Perhaps, under domestication, as with the sugarcane grass, some of them could become commercially viable sugar producers. 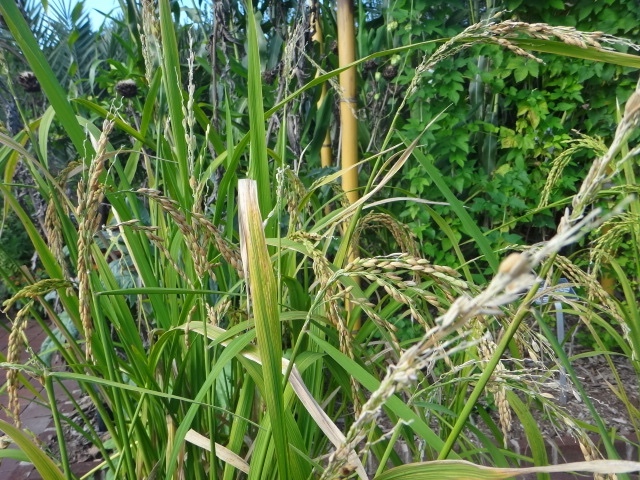 It is hard to imagine, however, that another grass, let alone another plant species, could combine an incredibly fast growth rate with copious amounts of palatable, sugary extract, as in sugarcane, which is one of the fastest growing plant species on Earth, a key to its commercial success. And maybe there is some plant out there boasting a delicious, non-sugar sweet compound that is just waiting to put stevia and monk fruit to shame. Whatever the future of sweet sources, Santa is the ideal taste tester. The man eats a lot of holiday cookies. 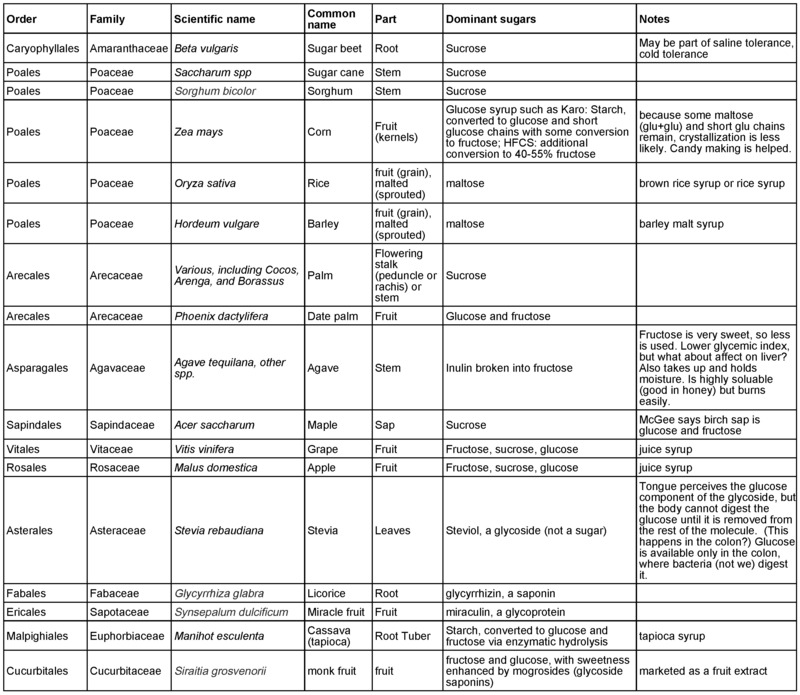 Table 1 below summarizes the information we discuss about and taxonomic details of sugar source species and plant sources of sweet non-sugar compounds. Elliott, M. C., & Weston, G. D. (1993). Biology and physiology of the sugar-beet plant. In The Sugar Beet Crop (pp. 37-66). Springer Netherlands. Liu, D. D., Chao, W. M., & Turgeon, R. (2012). Transport of sucrose, not hexose, in the phloem. Journal of experimental botany, 63(11), 4315-4320. McGee, H. (2004). On food and cooking: the science and lore of the kitchen. Simon and Schuster. McGee, H. (1990). Curious Cook. North Point Press. Turesson, H., Andersson, M., Marttila, S., Thulin, I., & Hofvander, P. (2014). Starch biosynthetic genes and enzymes are expressed and active in the absence of starch accumulation in sugar beet tap-root. BMC plant biology,14(1), 104. Van den Ende, W. (2013). Multifunctional fructans and raffinose family oligosaccharides. Frontiers in plant science, 4. Wardlaw, I. F. (1990). Tansley Review No. 27. The control of carbon partitioning in plants. New Phytologist, 341-381. Willems, J. L., & Low, N. H. (2012). Major carbohydrate, polyol, and oligosaccharide profiles of agave syrup. Application of this data to authenticity analysis. Journal of agricultural and food chemistry, 60(35), 8745-8754. 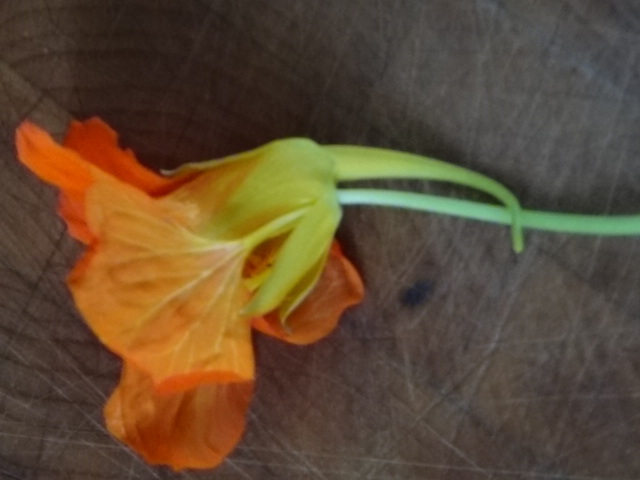 This entry was posted in Flavor, The basics, Uncategorized and tagged diversity, Jeanne L. D. Osnas, Katherine Preston, phylogeny, plant, species, sugar, sugar beet, sugarcane, sweet. Bookmark the permalink. Very informative and fun information! Thank you! This is such a great blog, and this article in particular is really useful for my 200-level plant students. Thank you!